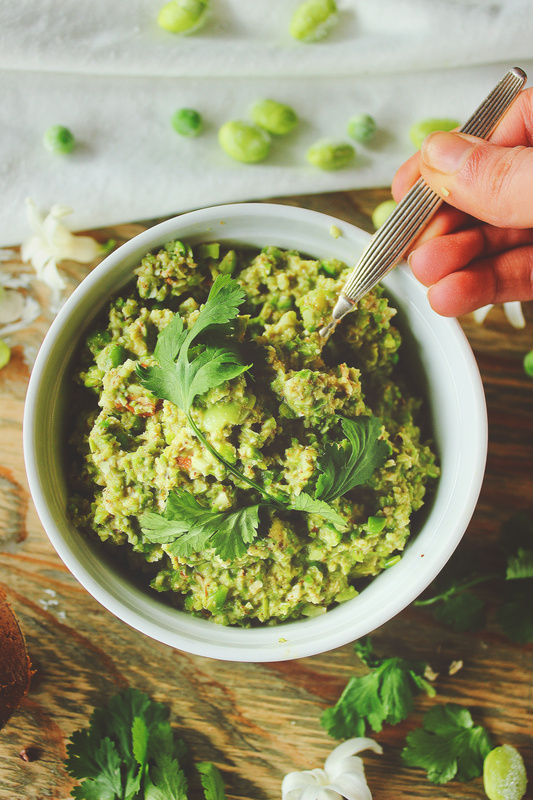 A chunky green spread full of flavour, texture, and protein which pairs well with bread and salads. If you feel like trying something different from hummus (although hummus is sacred! ), this spread is for you. Its slightly sweet, nutty, and cheesy flavour and crunch from almonds will be sure to win you over. So last weekend I attended the vegan winter fest and awards ceremony hosted by the Danish Vegan Society. It was my first time being in a room full of vegans… well, except my parents, maybe. And it was actually felt weird to know that I was surrounded by like-minded people since I have been “the weird one” for almost two years now. It was truly a night to remember. It was amazing to see and hear so many passionate vegans talking about why they do what they do. I didn’t win my category, but I was also up against two other amazing nominees. And I’m still so grateful to have been acknowledged since I only feel like my blog is really starting to take off now. Thank you to all of you who voted for me, and just to those who are reading this. Your support of me and my blog means everything. It inspires me to keep going and create delicious food and share it with you. I will continue blogging and see where it takes me in 2019. I have a good feeling about this year, and the vegan winter fest made me really realise how many other people are fighting for the same cause that I am, which is liberating animals. And, lastly, I want to give a big thank you to the Danish Vegan Society for even nominating me in the first place. 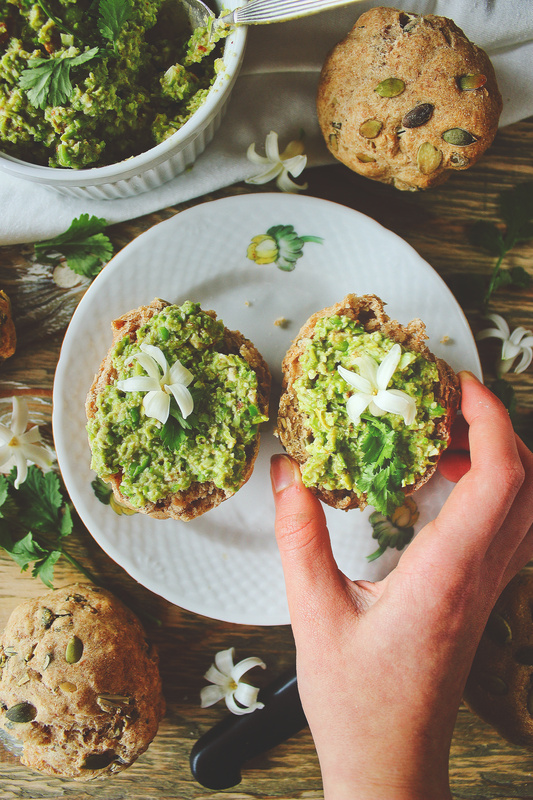 Skip to recipe » But the teasing is over, and now I’m sharing this spread which you might have seen in my last recipe: cold-raised pumpkin seed spelt buns. 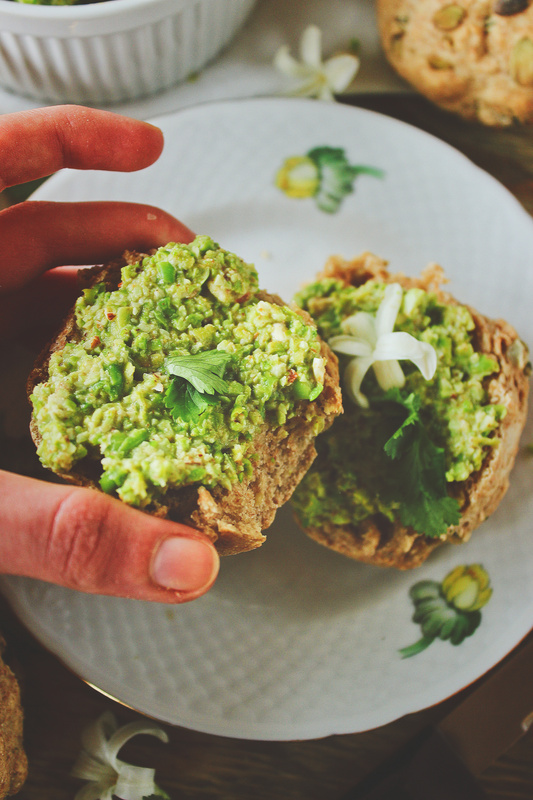 I love using this spread on those buns because it’s so flavourful, in a different way. It doesn’t taste like any other spread I have tried before. 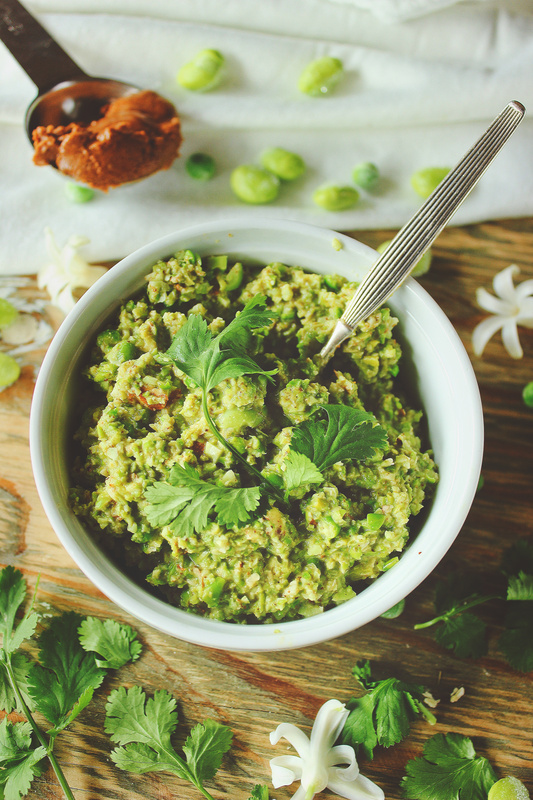 The peas add a hint of sweetness, but it’s still nutty and cheesy and it’s so delicious. I have also tried using it as sort of a salad dressing, and that was very good, too. And let’s just take a moment to appreciate the fact that I have posted a recipe weekly three weeks in a row, and that is the most organised I have ever been on this blog, haha. green and green means healthy, am I right? I cook my frozen edamame beans and peas in the microwave for 2-3 minutes to soften them before making the spread, but you can always cook yours according to the package’s instructions. My food processor is too big to really blend this smoothly, but I actually like the chunky texture. However, you can make it creamier by blending it in a blender and/or adding more almond butter and water if you’d like. 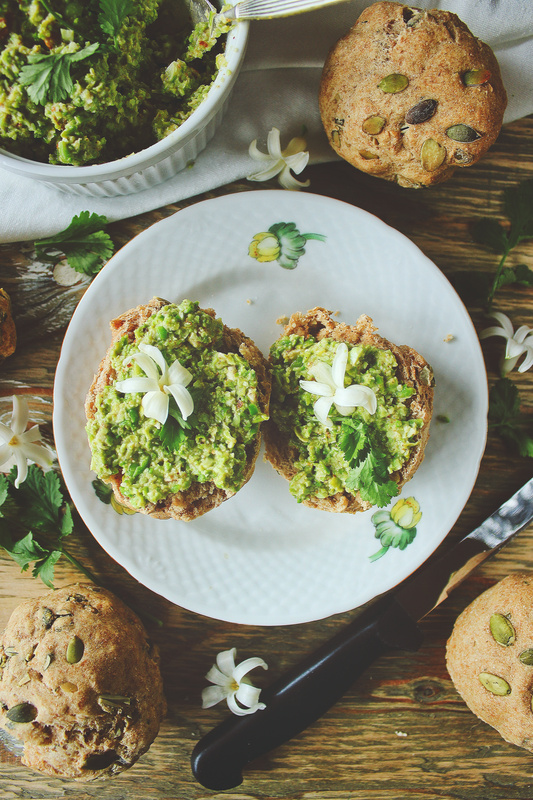 As I mentioned before, and as you you can see in the picture above and below, I invented this spread alongside my cold-raised pumpkin seed spelt buns and they are a match made in heaven. 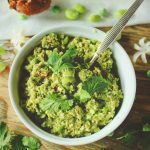 But this would also work wonders in a sandwich, as a different condiment for your buddha bowl, mixed into a salad, or maybe even as a dip for vegetable sticks. As always, your imagination is the limit! I really hope you decide to try this spread. If you do, let me know what you think about it and leave a comment below or take a picture of your creation and tag me on Instagram at @spirendeveganer. I would love to hear your thoughts and see your recreation. And then there’s nothing left to say but take care until we meet again! Cook the edamame beans and peas by either microwaving or steaming them for a 2-3 minutes until tender. 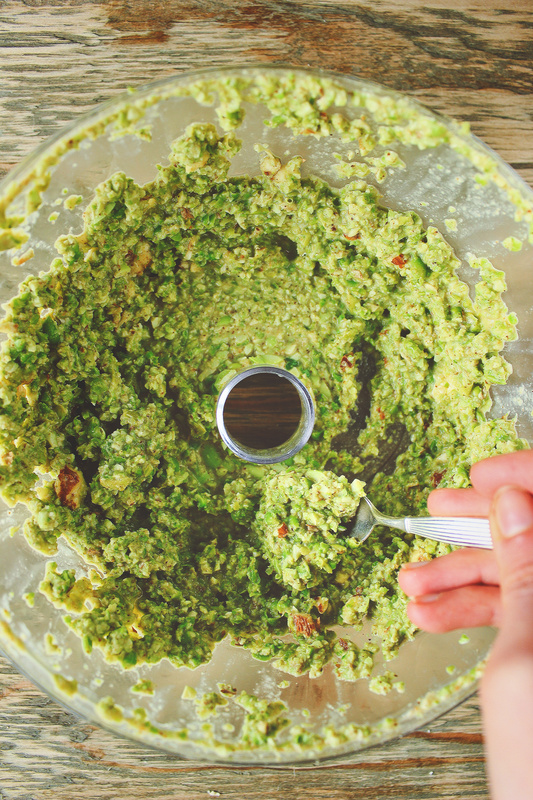 Add the cooked edamame beans and peas along with the rest of the ingredients to a food processor and pulse until the legumes have broken down and a paste has started to form. Depending on how smooth you want your spread, add more or less water and blend for longer. I like my spread quite chunky. At the end, add the almonds and pulse to break them into smaller pieces for some texture. 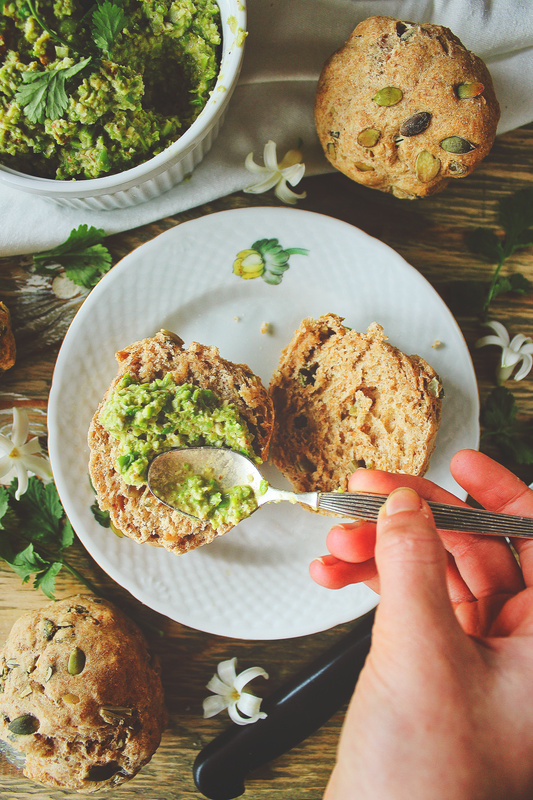 Use the spread on my cold-raised pumpkin seed spelt buns or other bread, add it to bowls or salads, use it as a dip, or any other way you'd like. Store the spread in an airtight container in the fridge for up to 5 days.